God’s word, lived out in our day-to-day lives, brings us hope and the satisfaction we’ve always been looking for. 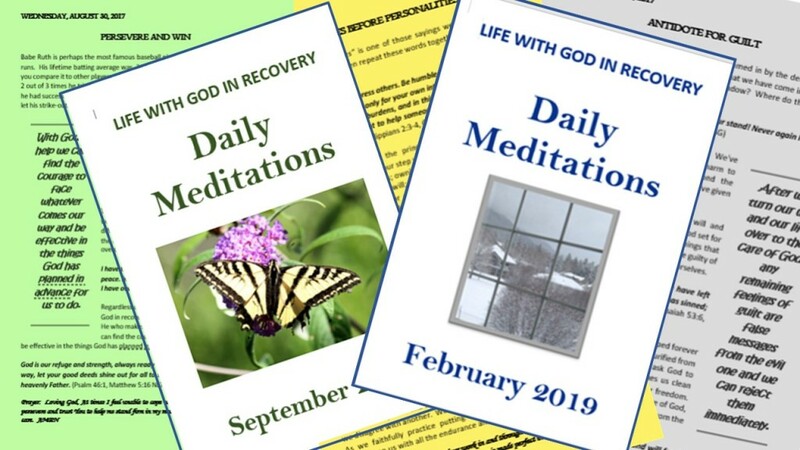 Life With God In Recovery Daily Meditations are written to help us recognize God’s presence in our lives, even during our troubled times, and learn how to become more aware of the plan God had for us when He created us. ONLINE for smart phone, tablet, or computer at: www.pihtoday.blogspot.com. From the top right corner of the PARTNERS IN HOPE HOME PAGE. Print copies are available upon request.